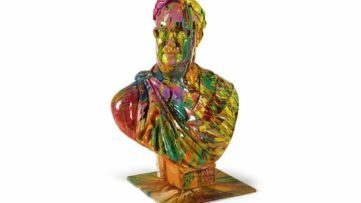 It’s not every day that Pace Gallery showcases someone’s art for the twenty-fifth time; not to mention there will also be the never-before-seen works. 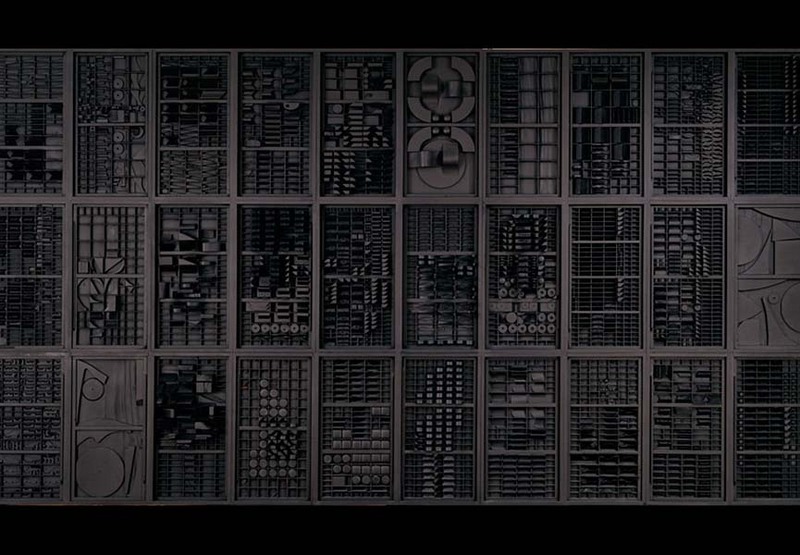 In this case, it is no surprise, because Louise Nevelson is considered one of the most significant American artists and sculptors of the 20th century. 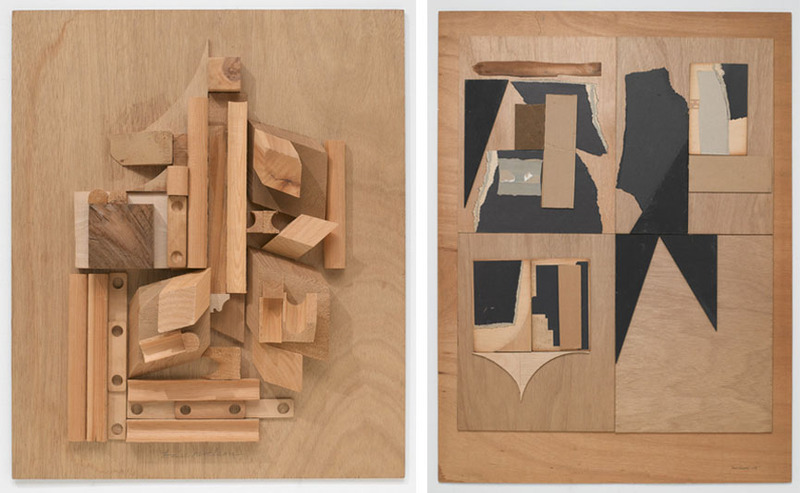 Born in Ukraine in 1899, Nevelson moved to the US with her family as a child. After her marriage in 1920, she moved to New York, where her stable financial situation enabled her to start exploring art in forms of painting and drawing. After she graduated from the Art Students League, she spent some time in Europe, in company and mentorship of Hans Hoffman. Through him, she got to know Cubism and the technique of collage that greatly influenced her craftsmanship. 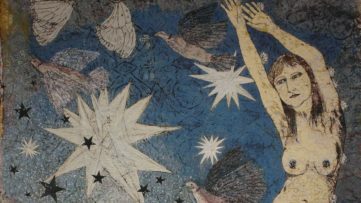 From oil paintings and terra-cotta figures, she passed onto collages, made of scraps of wood and metal she would find on the streets. Although her art was not recognized at that time, it represented a significant step towards the evolution of assemblage, where the artists “join the shattered world creating a new harmony.” After a brief collaboration with Mexican artist Diego Rivera on one of his murals in 1933, she taught mural painting at the Madison Square Boys and Girls Club in Brooklyn as part of the Works Progress Administration. She had her first solo exhibition in 1941. During the 1950s, her pieces began to grow – literally. Inspired by the Mayan ruins she visited in Guatemala, she started making sculptured beyond man-size. Her pieces would cover up entire walls, and it was then that the trademark of her mature style was born: her complex assemblages consisted of chair backs, finials, furniture legs, mouldings, spindles, and bits of architectural ornamentation and they were completely painted in matte black. With this groundbreaking work, she followed the concept of Marcel Duchamp’s readymades and introduced these immersive monochromatic sculptures to the world of art preoccupied with Abstract Expressionism. Her very defined color palette of spray-painted black soon expanded on all-white and all-gold works, growing in detail and glory. 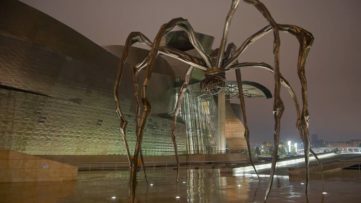 Beginning in he 1970s, the greatness of her art – in all senses – placed her sculptures outdoors. 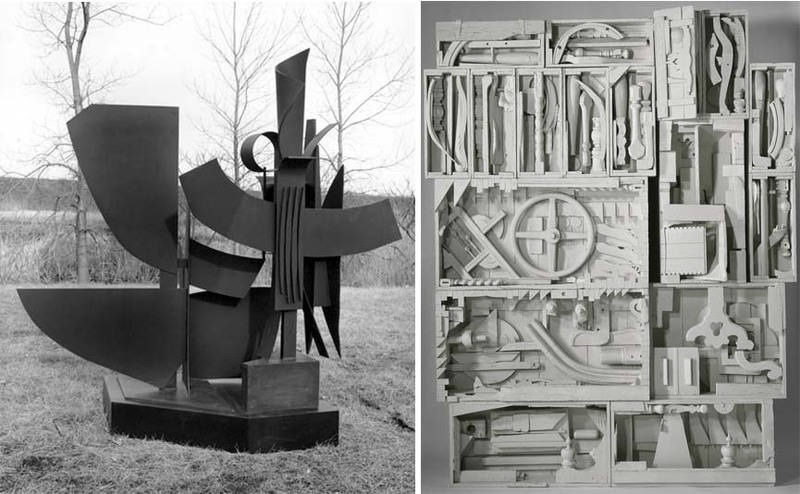 The first commission came from Princeton University, and until her death in 1988, Nevelson created many public sculptures across the US. Her style also evolved, as her forms started adapting to the environment, following the shapes of nature. She also started using new materials, such as plexiglass, aluminum and steel. Even though she didn’t consider herself feminist, she paved the way for the dialogues of the Feminist art movement of the 1970s by breaking the taboo that only men’s artwork could be large-scale. 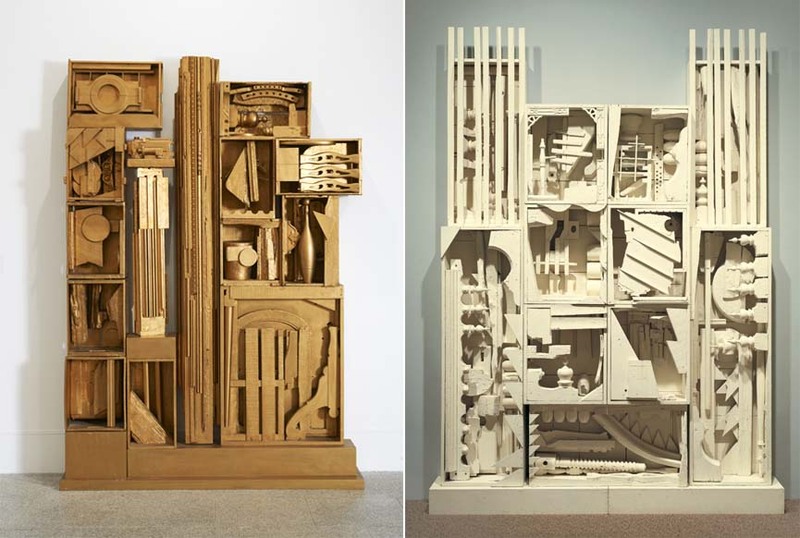 Her works initiated an era in which women’s life history became suitable subject matter for monumental artistic representation.Pace Gallery New York will host Louise Nevelson: Collage and Assemblage from January 24th till February 28th, 2015. Create a profile on My WideWalls and join the art party!